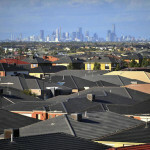 In good times, it’s easy to become complacent when choosing an investment property. The media’s full of hype, prices are skyrocketing, and people are in a scramble to buy. It’s not unusual in times such as these to think that anything you touch will turn to gold. But it’s not until things get a bit rocky that the market really starts to sort out the wheat from the chaff. Properties that never had the right fundamentals get hit hard, while the rest calmly weather the storm. 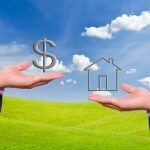 With the market turning upwards once again, I’m sure many of you are contemplating acquiring an investment property. If you are, learn from the mistakes many others made in the last boom and purchase wisely. You must always remember that not every property is the same. In fact, the potential for growth in each property can vary quite dramatically. What would you say if I offered to write you a cheque in 10 years time for $75,000, no strings attached? I’m sure you’d jump at it. Well, buying a $500,000 property that experiences a 7% average annual growth compared to one with a 6% average annual growth will result in around $75,000 of extra equity. Even after only 5 years, the 1% difference will put about $25,000 extra into your pocket. It’s a simple example but just goes to show property selection is critical to maximising your wealth. In this article, I’m going to focus on just one – supply. Supply is just one half of the equation, demand being the other. If demand for houses increases faster than supply, then prices will go up. 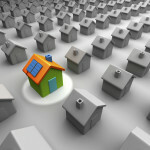 If demand decreases and plenty of supply still remains, prices go down. And naturally, if they are about equal to one another then prices will remain relatively stable. Not a bad thing, but not a good thing either if you’re looking to build your wealth as fast as possible. So if you’re looking to buy a well-performing investment, it makes sense to look for something in an area with relatively limited supply. If you buy a 3×1 in an area that is 30-40 years old not too far from the CBD, you know that supply of that type of property is unlikely to increase substantially as there is no more land available to build on. Assuming people hold a desire to live in that area and, better yet, you predict that desire to increase over years to come, then you can be reasonably confident your property’s value will continue to rise. Consider a 2×1 apartment just a short stroll from the CBD. If there is surrounding land ripe for development, or plenty of old buildings ready to be demolished for brand new apartment complexes, supply of apartments in that area could be plentiful. When researching an area, I find it valuable to contact the council to find out what plans there are for the area. Potential changes to zoning to allow more subdivision or demolishing of large schools or hospitals to accommodate new estates in the area, may all impact on your decision to buy whether for worse or for better. Venturing out further from the CBD often leads to areas that are relatively new and perhaps starting or in the midst of development. Many are usually abundant in available land, both in their own suburb and in future areas surrounding it. Whilst I certainly believe there are some good buys in such areas (due to them possessing other key fundamentals), they can be risky due to excess supply issues. There may be enough land in the area to develop for another 10 or even 15 years, and if there’s a real chance you may sell in that timeframe, you may be caught fighting against a hundred other similar homes on the market at the same time. With plenty of competition, it’s unlikely houses in the area will be achieving significant price growth. In this scenario, you might find your money may have been better invested in another area. On the topic of supply in outer fringe areas, there’s a phrase that I feel investors should be a little cautious of and this is “growth corridor”. This seems to be the latest catch-cry of a host of suburban fringe developments like the Beenleigh area in Queensland, the Truganina area of Victoria, or the far north-east area of Perth. I hear many investors pronounce what a great capital growth investment they’ve made because they’ve bought in a growth corridor such as these. I need to emphasise that “growth corridor” is not referring to capital growth, it is referring to population growth. And whilst the influence of population growth is another factor that can positively impact property prices, it needs to be considered in light of the overwhelming amount of supply that is almost a guaranteed feature of these corridors. But sometimes supply is not always about what land or opportunities are around ready for development. A character home from the early 1900’s in an area with plenty of redevelopment going on, will still fare well. That is because character homes themselves are always in limited supply – what stands today is all that will ever be. No matter how much land is created in that area, you just cannot duplicate the age and real features of a character home that are much desired. The concept of supply and its impact on price growth is actually quite logical but it’s something that many investors somehow seem to forget. Perhaps they get carried away with the excitement of buying, are won over by the beautiful décor of a place, or can’t resist a so-called “bargain”. This is why it’s so important when buying an investment property, to think with your head and not with your heart. Remember, if you want to build real wealth it is absolutely crucial to buy property that outperforms the market. And aside from supply, there are numerous other factors that should be considered when selecting a property.